opportunities to use technologically advanced materials and practices to update the building’s structure, yet maintain its historical significance. PCM is actively involved in rehabilitation efforts in downtown Los Angeles and surrounding communities. 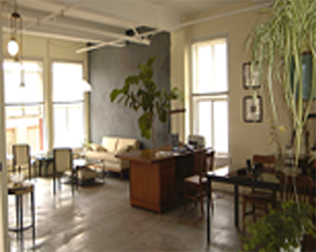 We have provided services for the adaptive re-use of over 15 historic and/or vacant buildings, totaling over 3 million sq. ft. 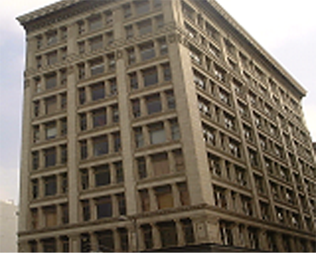 Located on Fourth Street between Spring and Main in downtown Los Angeles, the Old Bank District contained three 1910-era buildings; the 8-story San Fernando Building, the 6-story Hellman Building and the 12-story Continental Building. 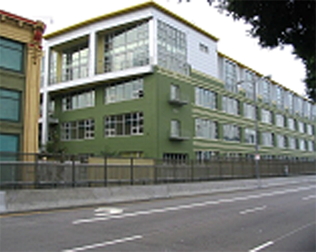 PCM converted over 300,000 square feet of these historic office buildings into 237 modern loft open plan apartments, ranging in size from 650 sq. ft. to over 2,000 sq. ft., as well as performing demolition, seismic, abatement, fire/life safety upgrades and interior demolition and renovation in accordance with City of Los Angeles Live-Work Ordinances. The 100,000 sq. ft. ground and basement floors are dedicated to retail including restaurants, coffee shop, photo gallery and art class space at street level. Completed in 2000. 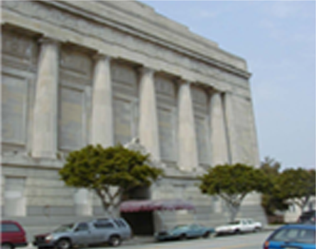 PCM is providing construction services for the adaptive re-use of this Masonic Temple, built in 1923 and located in downtown Long Beach, California. The building has ballrooms on alternating floors and includes historic interiors, stairwells, and elevators. The project includes the conversion of the building into 50 loft condominiums and the construction of two structures from ground up on each side of the main building for a total of 82 lofts. Creating reports helps to monitor the schedules and costs at all locations. PCM provided extensive pre-construction services, cost estimation and bid analysis on this award winning Los Angeles loft conversion project, a collaboration of two premiere developers, these 91 state of the art work/live condo lofts were created in the historic UPS building, an industrial facility built in 1936.